Here is the Boho Poncho! Lots of fun with hooks and also take a look at my facebook page Hook Trend. A like become very appreciated. 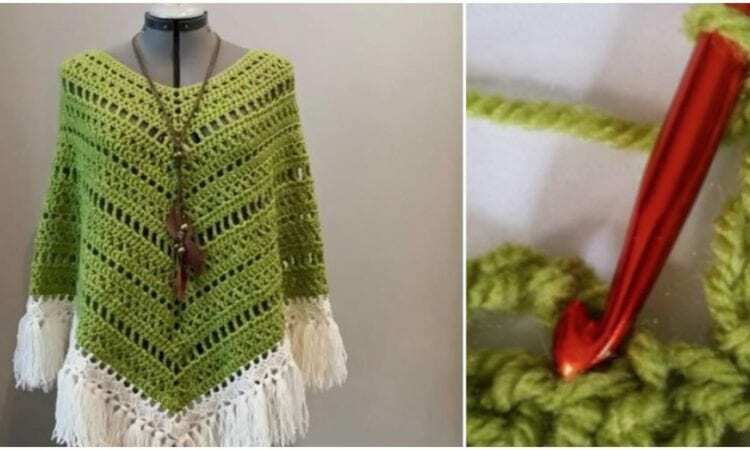 If you have made the Boho poncho I’d find it very nice if you could put a picture on HaakTrend. Be part of our Facebook Group! Crochet Mammy Patterns! Previous Post:Crochet Adult Chunky Slippers.